When you’re digging deep into a language or a paradigm, you’ll inevitably find some concepts that are hard to understand. Not every developer have an academic background so same concepts, terms or abstractions are hard to understand and adopt. One concept that’s certainly hard to understand is: what is a Functor? Well, I bet you’re already using functors every day without knowing it! A Functor is a map between two categories. Real world example? The awesome .map method from our first article, can be applied on arrays… which are functors! 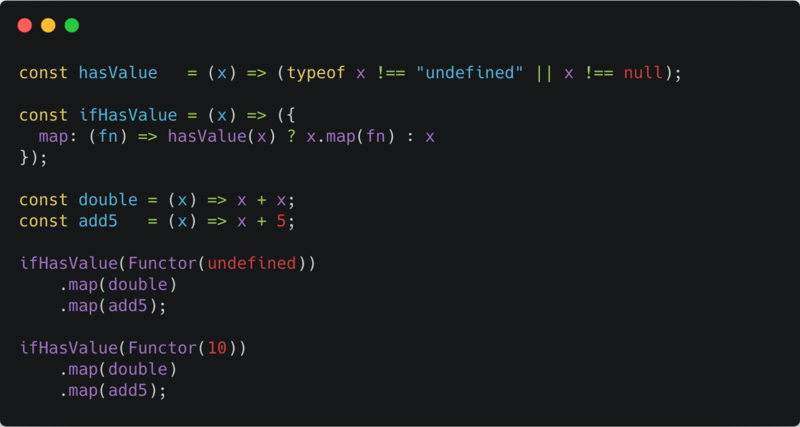 As written in the Haskell Data.Functor specification, Functors uniforms action over a parameterized type, generalizing the map function on lists. Let’s throw away all that abstract things and let’s see in practice how to adopt Functors! As you can see in the example above, an array is functor because we can map over it. So as you can see, we can applydouble and add5 functions to our array using the map method. Chaining multiple map methods will always produce the same output, thanks to the Functor Laws! Now you may ask: “as far as I know, .map can be used only on arrays, so only arrays are functors!” …wrong! 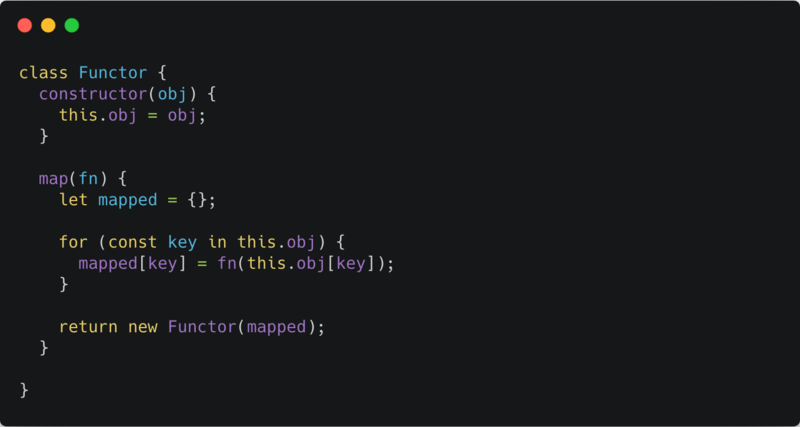 You can create a Functor out of mostly any value, that’s why is so important to understand what Functors are! Great, we just defined an algebra that will be our starting point! Now, in order to make it look like a real Functor, we need to make it mappable, always respecting the Functor Laws. Does it return an unmodified functor? Yes! Are we able to map over and over it, always respecting the first law? Yes! Great! So now that we have our Functor, let’s try it out! You just used classes! Is there a way to make it pure? So is there a way to build a “pure” Functor? Holy guacamole that’s sooooo easy! Let’s test it against a number! 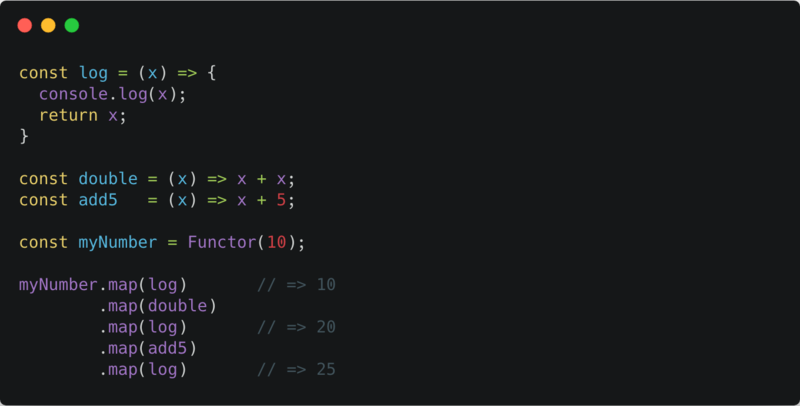 Why should I care about Functors? Functors are a key topic in both mathematics and computer science. 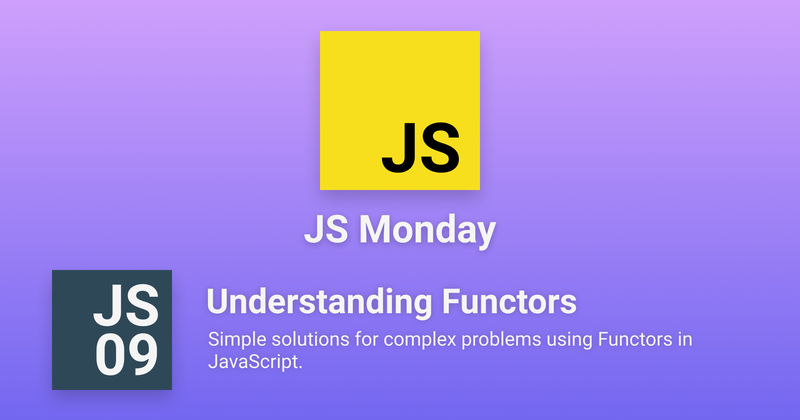 Without understanding Functors, we won’t be able to understand Monads and other amazing things. Functors adds some kind of safety in our program, just think how predictable our output can be. So as you can read, we can only apply certain functions when a value is known (so not undefined or null). So, in few words, a Functor is a thing we can map over. If you’re familiar with category theory, you may have noticed that a Functor maps from category to category. A Functor which maps from category back to the same category is called Endofunctor (for instance, a monad is an endofunctor). I really hope that Functors aren’t a mystery anymore! Software Engineer. Functional Programming enthusiast.